Unique Rythmik servo technology insures accurate and musical bass response. A myriad of settings including variable phase control and PEQ insure that you can dial this sub in with precision. Rather than standard 3/4" walls, our standard build for Rythmik 12" subwoofers features 1" thick walls and substantial bracing to further minimize cabinet resonance. Non-resonant cabinet coupled with exclusive Rythmik Direct Servo technology insures that accuarate, impactful and genuinely musical bass. What more could you ask for? Well my second sub has arrived! All I can say is WOW! I was expecting some improvement, maybe 25%, subjectively, but I would call it close to 200%, in reality. 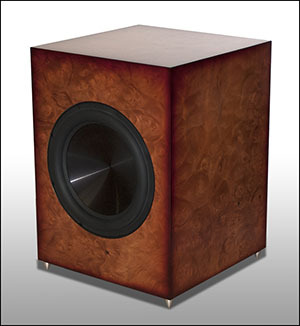 Built using top-shelf components from respected companies, all securely nestled into a hand made cabinet, means what you end up with is a subwoofer that has excellent sound quality and an astonishing amount of deep bass. My sub arrived in good shape and looks beautiful -- another great job. It's all hooked up and working great. Thanks again. 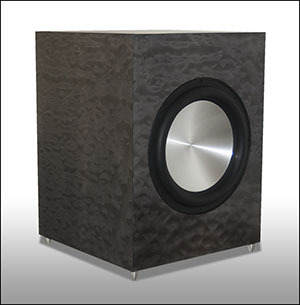 We have built many custom subwoofers over the years for all kinds of applications. But since Rythmik introduced their Direct Servo Technology, we've pretty much limited subwoofer production to Rythmik-based designs. They are simply too good. It takes a lot of air movement to generate deep bass. And there is just as much energy coming off the rear of the subwoofer cone as there is initiated by the front of the cone. 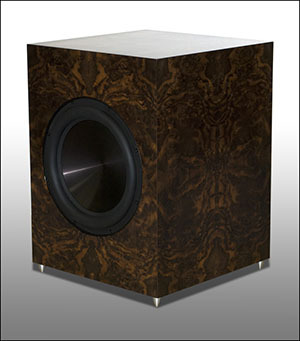 The result is a tremendous amount of energy being directed back into the subwoofer cabinet. 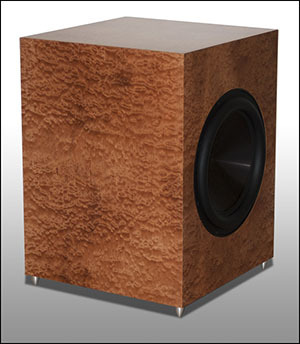 This energy can easily create cabinet resonances and can cloud the clarity of the bass response. We address cabinet resonance in two ways. First, with our Rythmik 12" builds, we use 1" walls rather than the standard 3/4" walls. 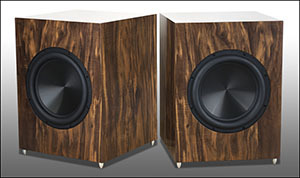 This added mass lowers cabinet resonances to extremely low levels. 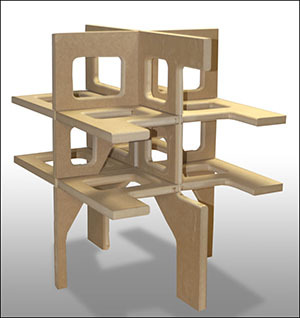 We also add very substantial bracing to further reduce the chances of cabinet wall resonances. The result is extremely clean, precise and musical deep bass. When set up properly, the sub should never call attention to itself. But your system will play significantly deeper than before and the sound will be very clean, accurate and musical...which is how it should be.